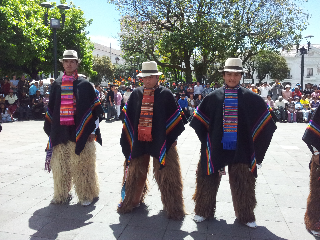 There is entertainment every day in one of the plazas. 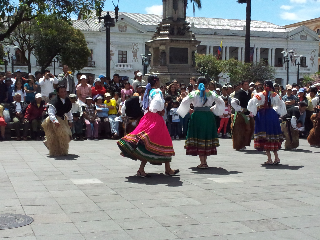 Today it was traditional dancing from various provinces in Ecuador. The Andean pipes are lovely to hear.